Each year the Islamophobia industry spends over $30 million dollars to make people afraid of Islam and American Muslims. The websites, YouTube videos, books, white papers, lobbying, and media stars of the Islamophobia industry turn the hearts and minds of people against one another, paving the way for a more divided, fearful future. We don’t have to live in that future. Together we can build a future based on our shared values and vision for America! 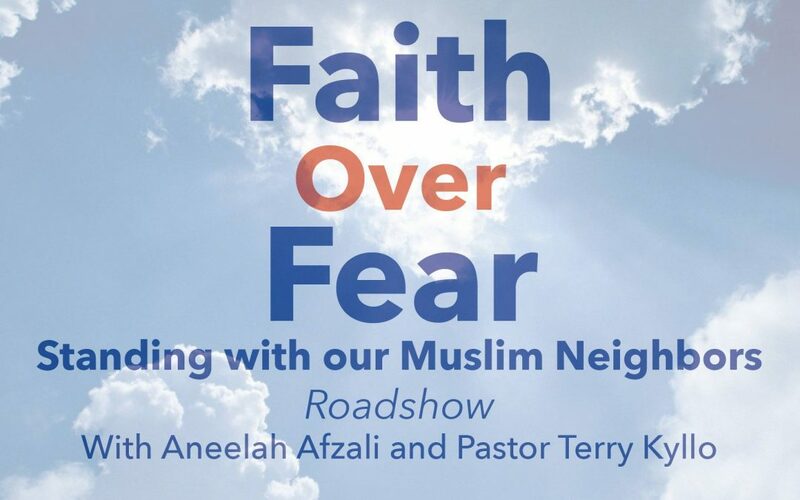 We cordially invite faith leaders from all churches, mosques, synagogues and temples as well as civic, education and community leaders to join Aneelah Afzali (MAPS-AMEN) and Pastor Terry Kyllo (Neighbors in Faith) for an overview of the Islamophobia industry, the threat it poses to our nation and civil liberties, and what we can do about it together. This event will include time for Q & A and interaction with faith, political and education leaders in your area. Aneelah Afzali, Esq. is Executive Director of the American Muslim Empowerment Network (AMEN), a new initiative of the Muslim Association of Puget Sound (MAPS). She is also on the governing board of the Faith Action Network. Aneelah graduated from the University of Oregon Honors College, and was named a Chayes International Service Fellow at Harvard Law School. The Rev. Terry Kyllo is a pastor serving The Catacomb Churches, a Lutheran and Episcopal congregation of house churches throughout northwest Washington. He serves as the director of Neighbors in Faith an interfaith effort to recognize Muslims as neighbors and partners in building a more peaceful world.